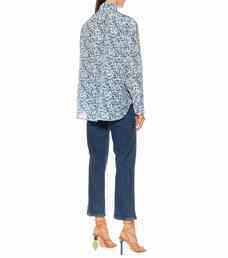 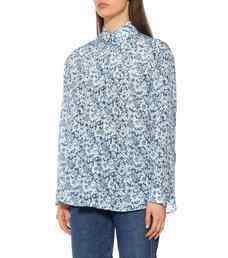 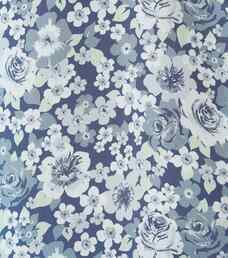 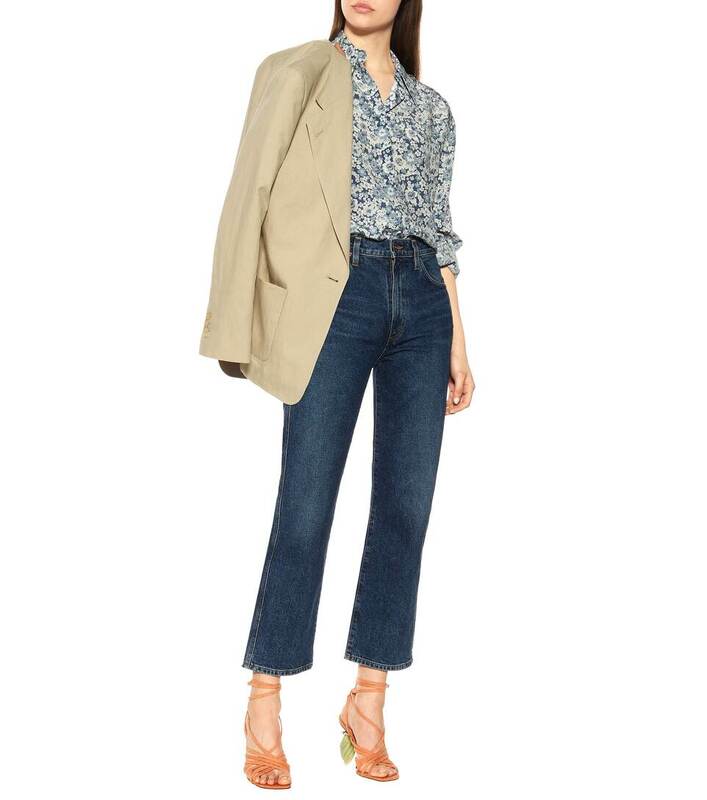 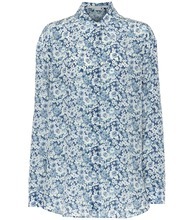 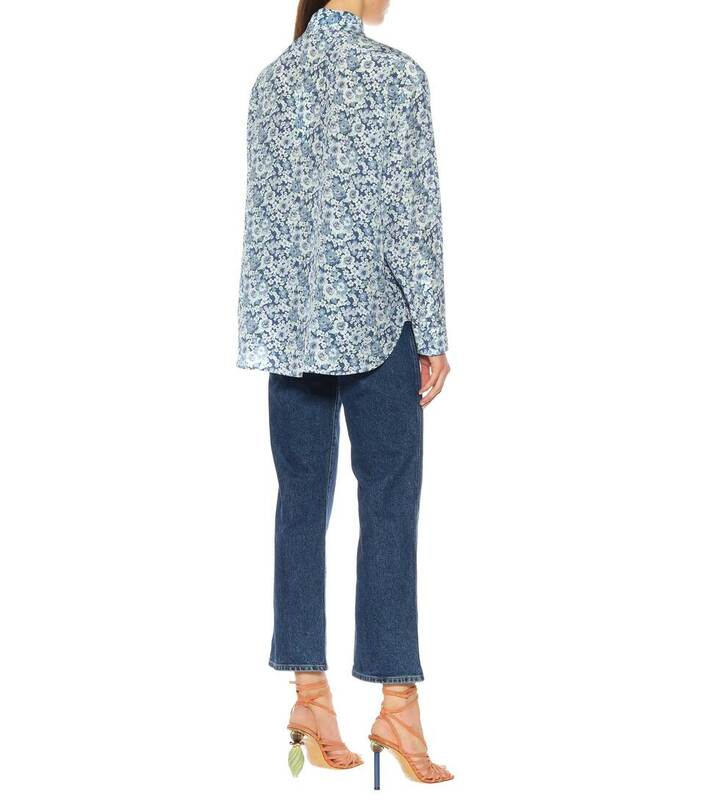 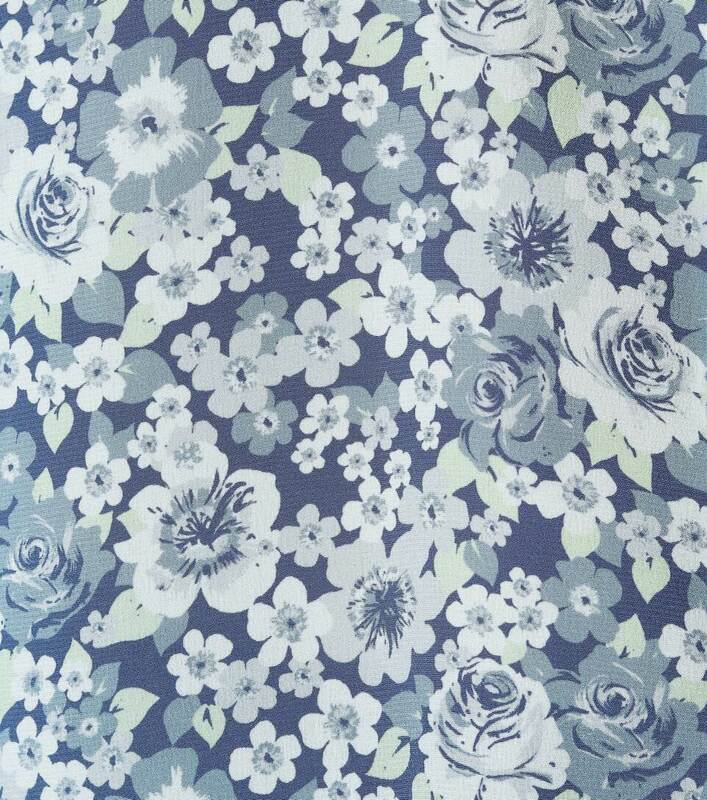 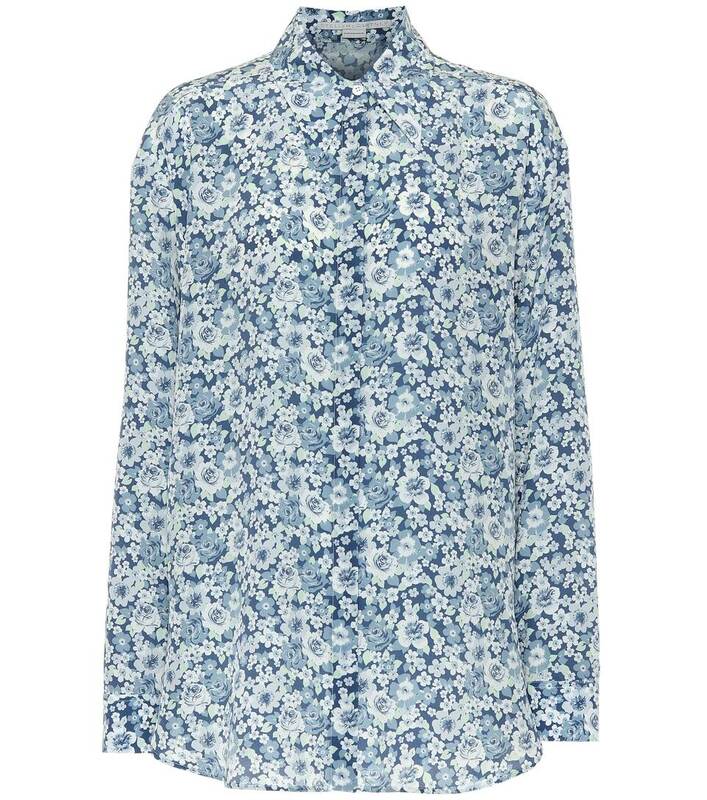 This Stella McCartney shirt has been cut from silk and doused in a charming blue floral print. 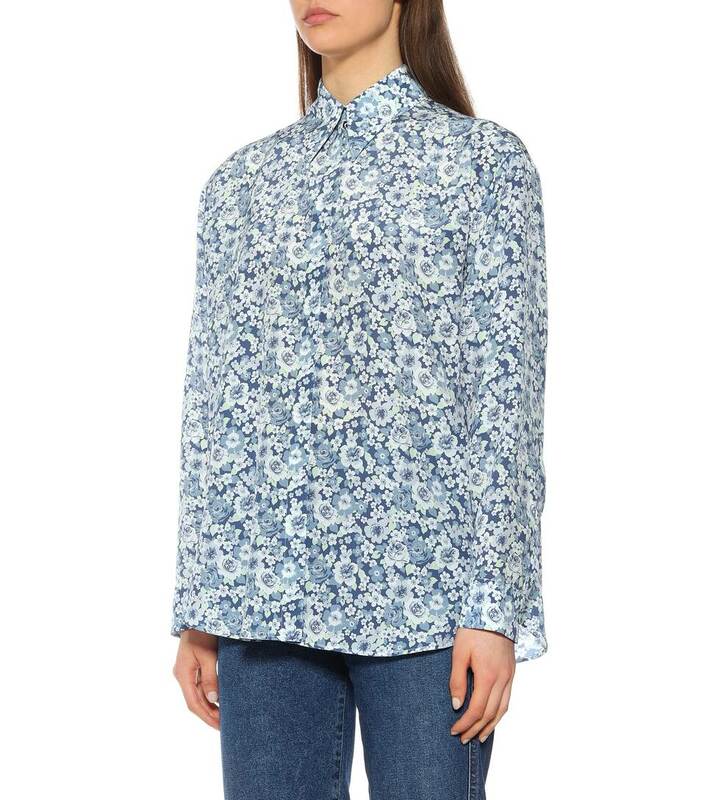 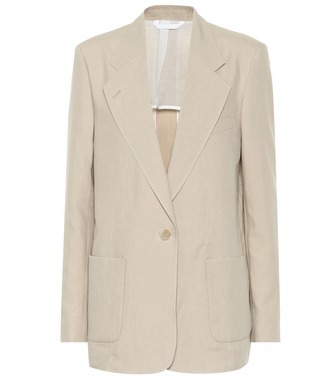 The relaxed design features a soft but exaggerated pointed collar, and seals with mother-of-pearl buttons kept cleanly covered with a concealed placket. 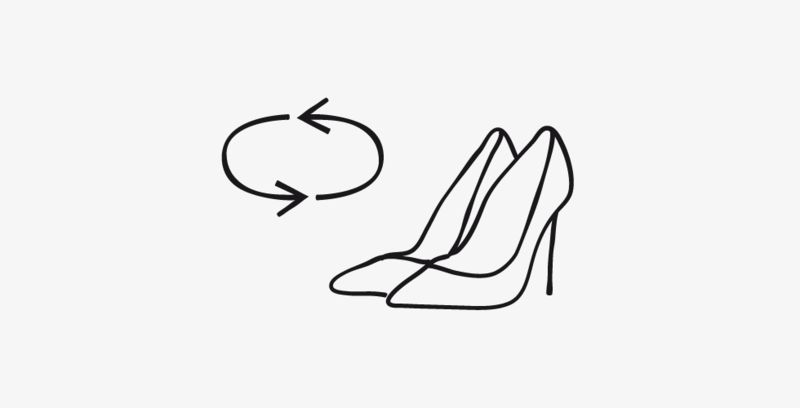 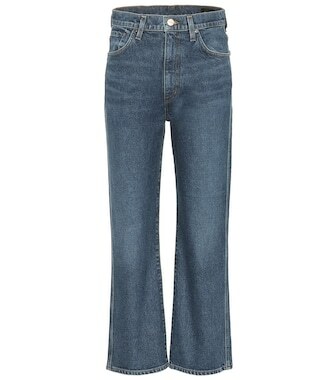 Toughen yours up for the evening with leather pants and spindly sandals, or wear it to the office layered under a blazer.